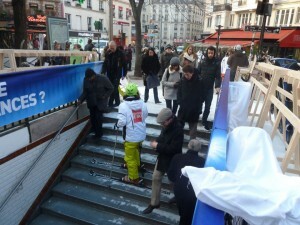 At Skipedia, we love a spot of guerrilla marketing so this recent campaign by Intersport Ski Hire France impressed us. 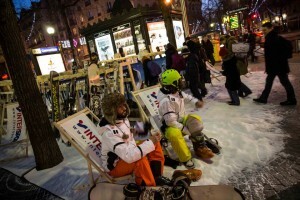 Intersport teamed up with Paris agency VivaKi to take over a Paris Metro station. 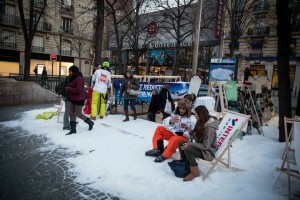 The idea was to create a unique way of communicating their message to the public, as well as creating some cool social buzz at the same time. We spoke to Hélène Lengaigne , who coordinated the event. Why did you choose that Metro station? 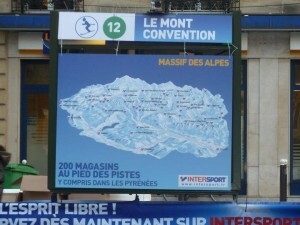 “We picked Convention for a number of reasons. It has a good level of traffic, with the right mix of professionals. “The entrance layout also allowed us to dress the station, allow room for our performers and create the mountain atmosphere we were looking for. When did you run the activity? “The operation took place one morning to reach people going to work, starting around 0630. Love it! What a great campaign! Can’t have failed to engage people and make them smile and talk about it on the way to and at the office! Clever stuff! Probably not too expensive to do either compared with lots of campaigns! Cheers for the feedback Rich. 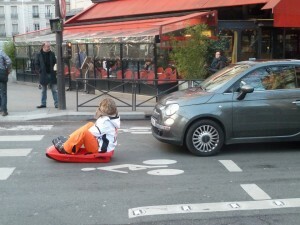 I’d love to do this in London…! Enjoyed your talk last night at the soc med shindig! Very interesting and informative.